Jerwood Gallery is a charity that enables and displays the excellence of British art; embedded in and contributing to the artistic, social and economic development of Hastings. Jerwood Gallery is the permanent home of the Jerwood Collection of Modern British Art - a private collection in the public domain. To complement this, the gallery has a varied and regularly changing programme of contemporary and historic exhibitions, celebrating British painting in all its forms. The festival builds on the creative energy of one of the most exciting parts of the country. With its world-class cultural venues, year-round festivals and eclectic arts scene, Hastings and 1066 Country in East Sussex has a growing reputation as a cultural hotspot for outstanding contemporary arts. The festival will offer spectacular outdoor events, fantastic performances and exhibitions and exciting participatory projects across 1066 Country focused in Hastings, Bexhill and Battle. 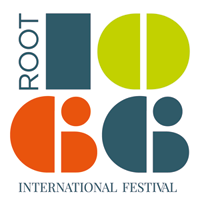 Rye International Jazz & Blues Festival is boutique and compact by design offering variety and intimacy in the stunning and historical town of Rye. The Fairlight Arts Trust funds the Hastings International Piano Concerto Competition Annual Prizewinners’ Recital Series, held in the Fairlight Hall Recital Room. Photo hub group (Phg) is a collective of photographers dedicated to promoting photography and was founded in 2009. Traditionally linked with the Brighton Photo Biennial, Phg is currently working towards delivering PhotoHastings, our own season of photography. In 2015 the Fairlight Arts Trust commissioned a documentary by Oscar-Nominated Director Mike Figgis on the Hastings International Piano Concerto Competition. St. Leonards Festival is an annual three day multi-cultural event showcasing high quality artists, bands, retailers and performers in Central St Leonards. In 2017, St Leonards Festival will return with a brand new look! We're reinventing the annual celebration, making it more accessible and varied than ever before. Hastings Musical Festival provides excellent performance opportunities for all ages with adjudication of specialists in their field, and also the awarding annually of grants to young performers as they continue into further studies in College/Conservatoire in their chosen discipline. The Festival takes place annually during more than three weeks of March in the White Rock Theatre on the sea front of historic Hastings. 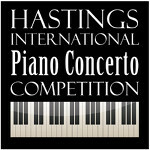 The Hastings International Piano Concerto Competition is one of the UK's fastest growing premier piano competitions for international young pianists, attracting attention from far beyond the town itself. The annual competition culminates in a thrilling final in early March with the Royal Philharmonic Concert Orchestra at the White Rock Theatre, Hastings.